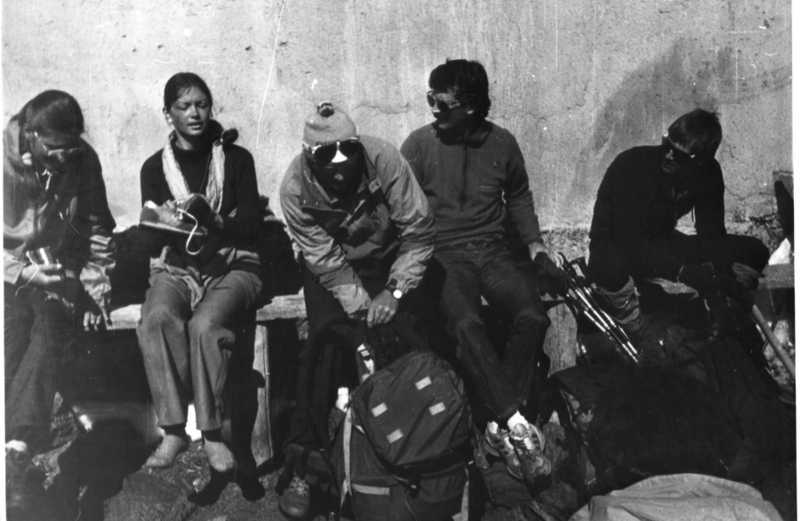 One more push for the realization of the idea was in 1986, when Leningrad climbers visited Italian Alps during climbers exchange program (it were years of Iron Curtain). 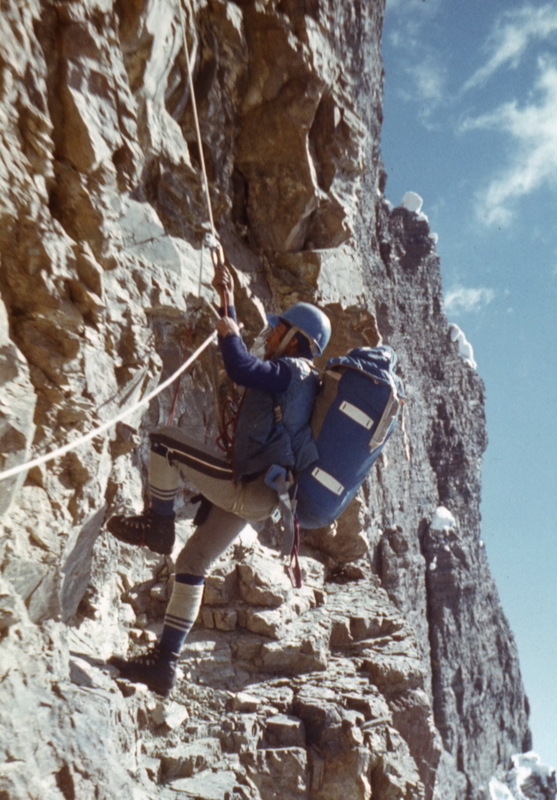 The goal was to have a look at Alps, have some climbing there (Bonatti route on Grand Capucin), and — the most important – what is that «western» way of mountaineering??? 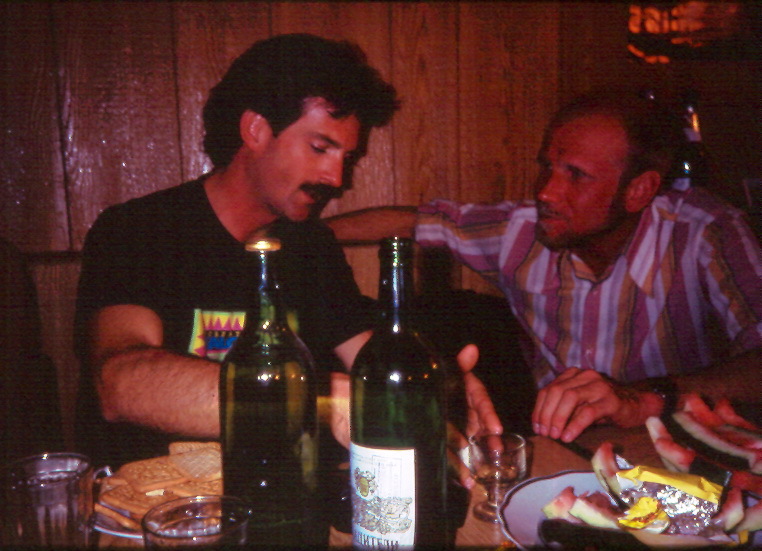 Then Vladimir Shopin recollects now that in one little shop in Aoste they saw the souvenir plate with emblems of a local mountain marathon, and Balyberdin was very curious about such competitions being quite popular in Europe. Watching the dramatic scene our team continued the descent simultaneously, ropes packed – it wasn’t steep there, a lot of sharp rocks – it was impossible to fall! 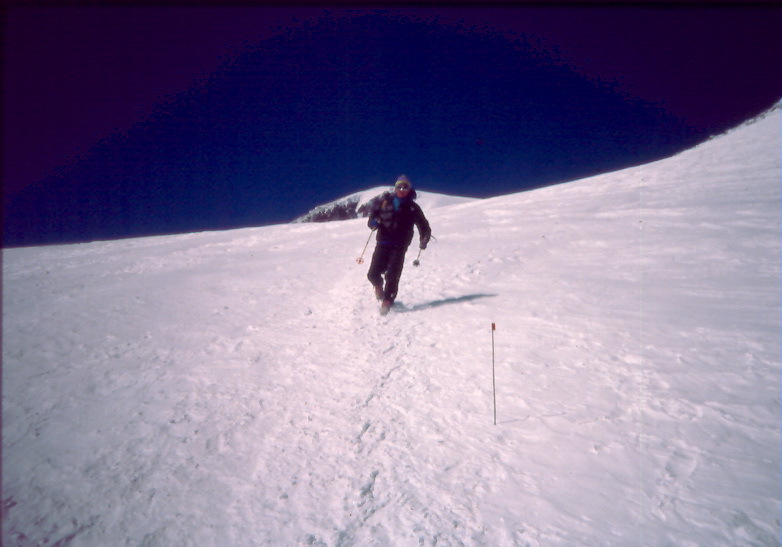 It was clear that those climbers are to spend many days on the route before they reach the peak and then descends down to BC… Alex Shustrov started calculating what overall time is needed to climb at usual speed from one camp to the following, and this simple calculation’s result was that net time necessary to reach the peak is not really big! 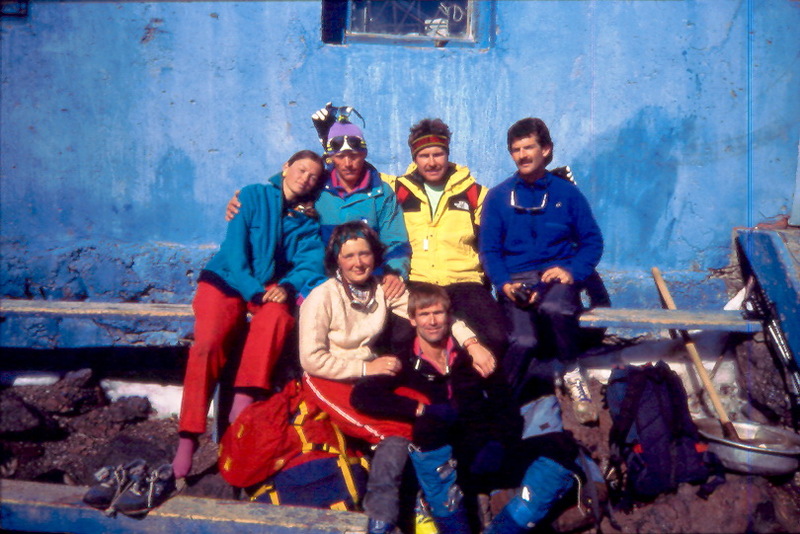 Then there was «a Balyberdin's Round Table» when everyone was welcome to freely consider all assumptions and then listen to Vladimir’s resume: climb in extremely light style, even without down jackets (only down vests, and no other warm clothes). 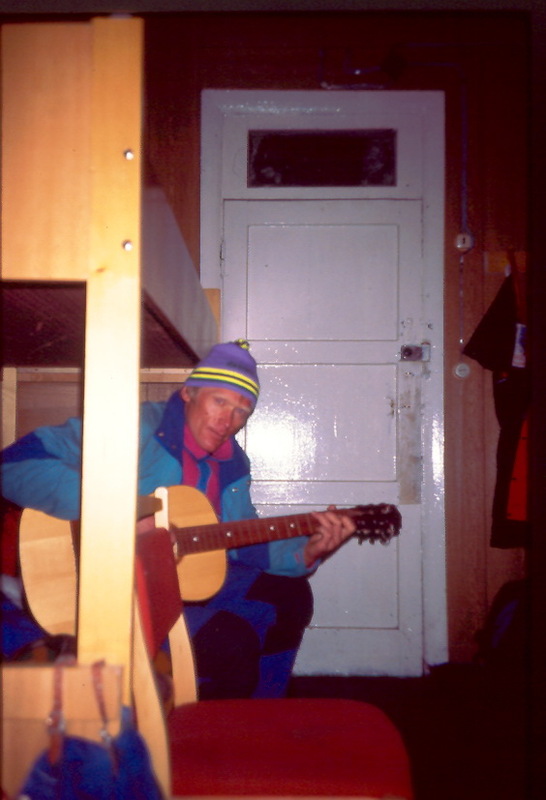 Start from camp at the bottom of Semenovsky glacier at 4:00 a.m. 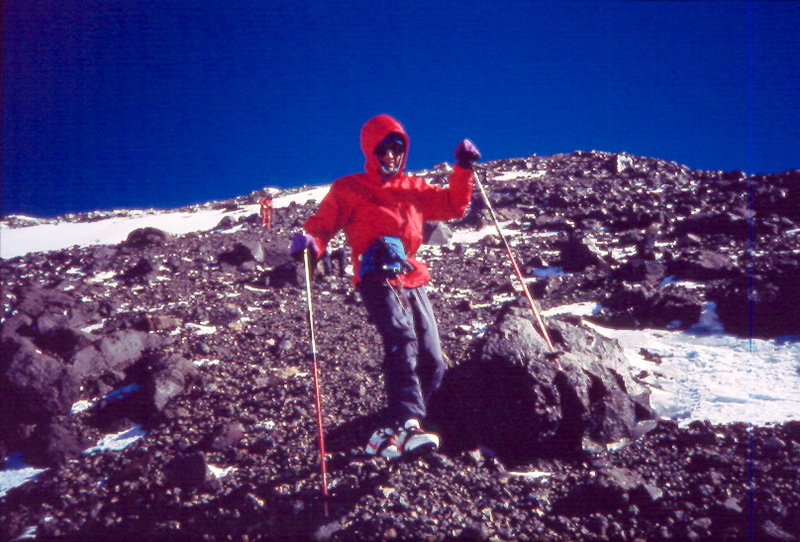 According the calculations planned time of reaching the peak — 2 p.m., (height difference — more than 3000 m). 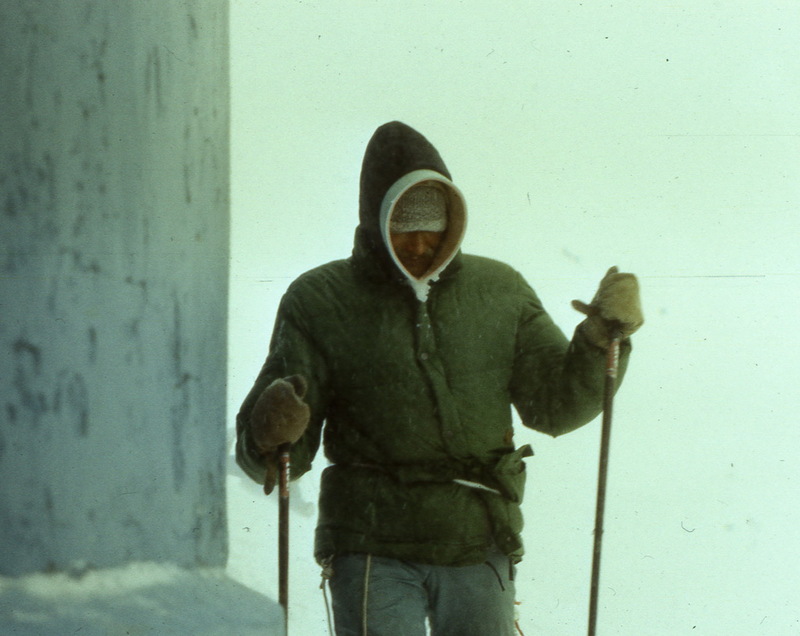 If somebody won’t keep the pace – he had to sit and wait – others will pick him on the way down. News are spreading quickly on South Inylchek glacier– our neighbours, the climbers from Military Sport Club of Central Asia (now – CSCA of Kazakhstan, Almaty – ed. 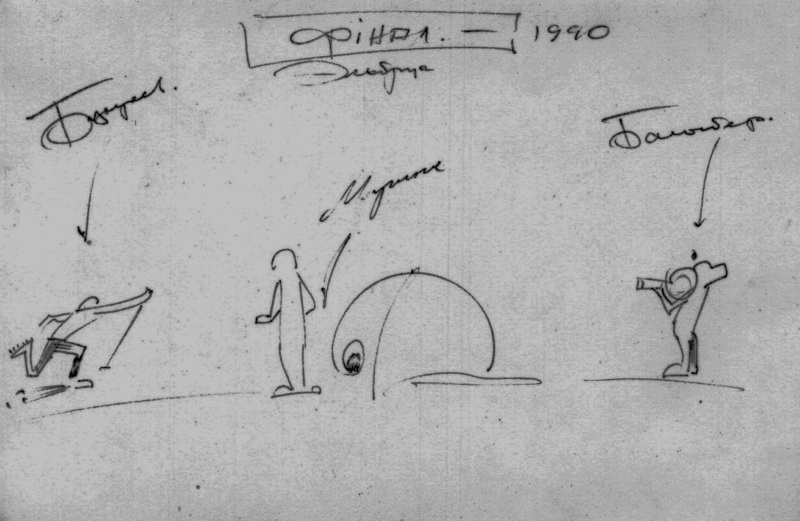 note), known in USSSR as strongest and most experienced high-altitude climbers, were already involved altogether in discussion of this crazy idea. 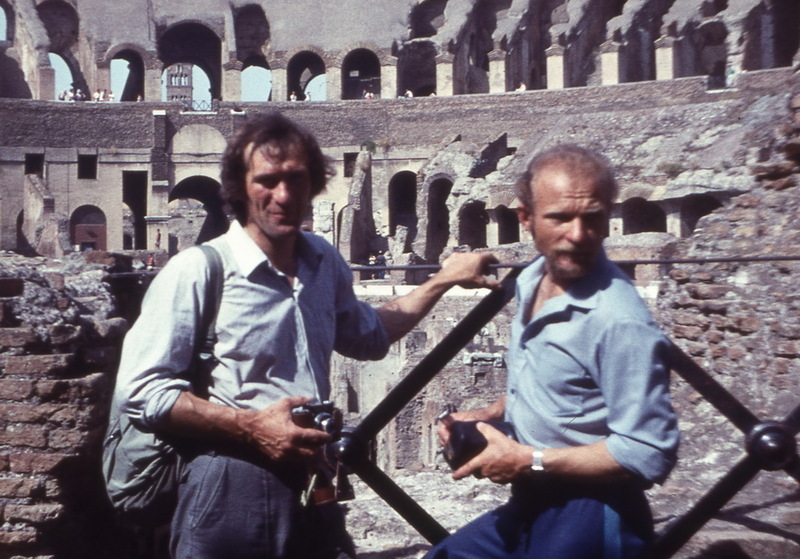 Boris Studenin was categorical: — «Bal (Balyberdin – ed. note) can, of course, and will run, but the others will peg out on a half-way. I’ll take a binocular and tomorrow all the day will watch you …». 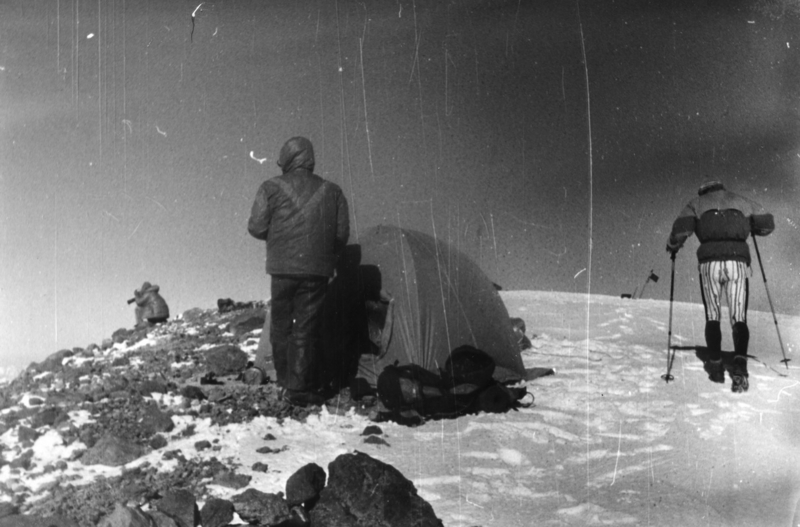 All has passed precisely according to the plan – they climbed up for 10 hours, after the steep ridge everybody climbed independently. 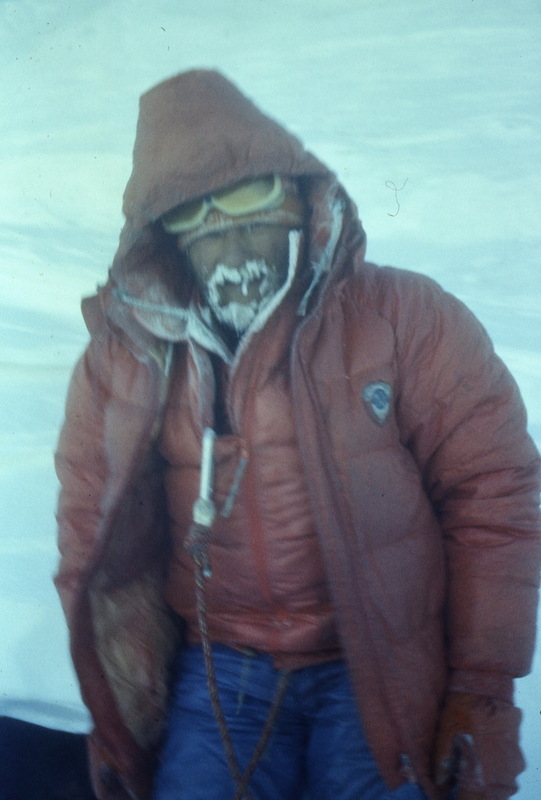 Bal reached the peak at 1:45 p.m., others – in 15 minutes after him, they spent half an hour on the top and then descended in 8 hours. The weather was excellent — and Boris Studenin observed in binocular a refutation of his pessimistic forecast. 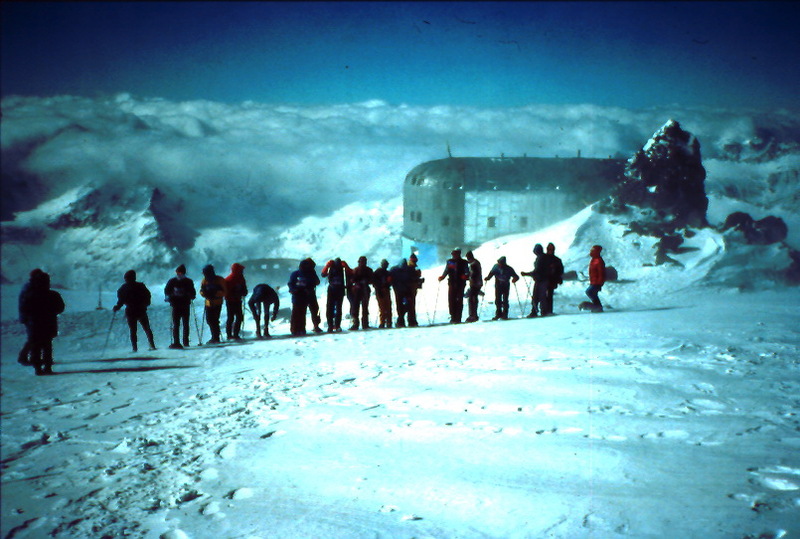 When the team descended to the col, numerous climbers there applauded to heroes and prepared the tea for them. 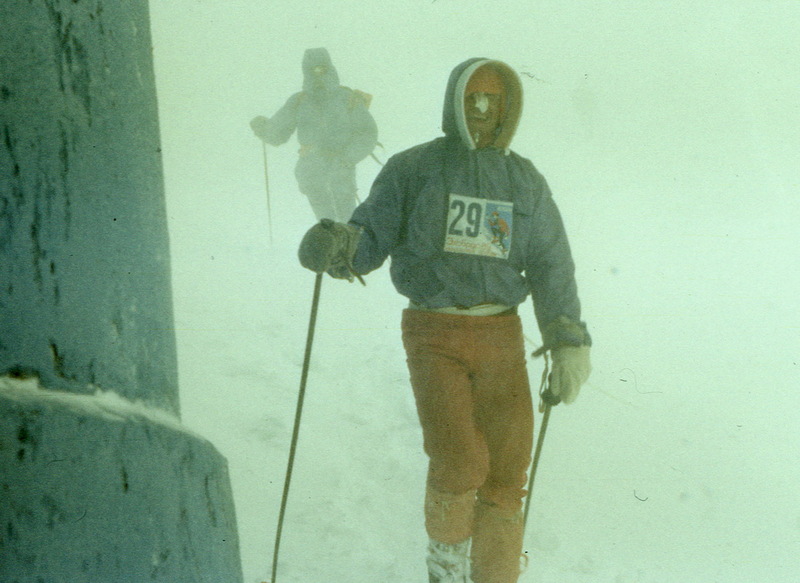 It was a triumph for all: not only for the climb participants but for simple witnesses too. 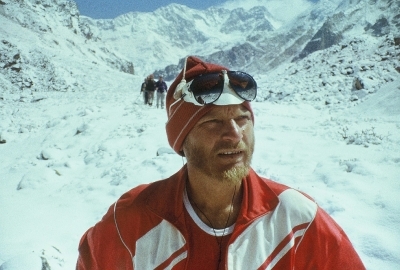 Boris Mednik says that just after the team left the col and went downwards Bal has looked back at the route climbed and told: ”Next time we’ll run here already with a stop watch”. 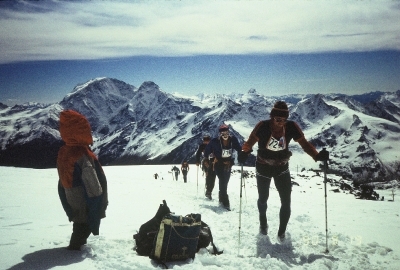 In 1989 many of strong and skilled climbers met on Elbrus, but in the focus of everyone’s attention were four of them (including those just returned back from Kanchenjunga expedition in spring 1989) – “Bal” (Vladimir Balyberdin), “Buka” (Anatoly Boukreev), “Slim” (Valery Khrishaty), “Kyrgyz” (Alexander Shejnov). 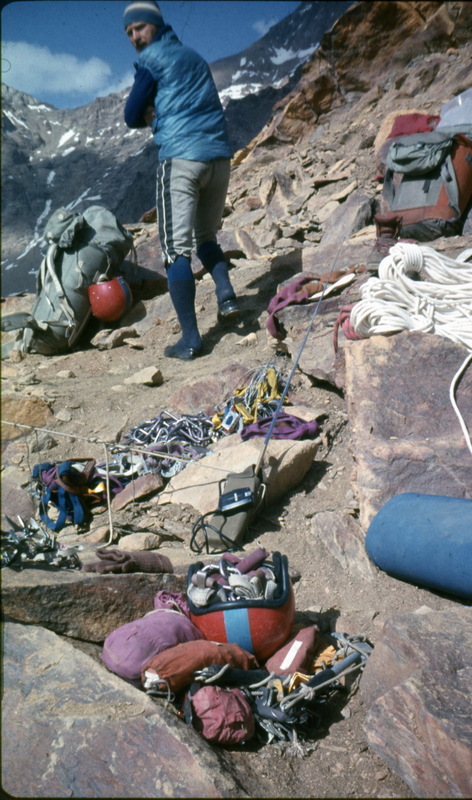 19.some more climbers from Almaty: Vladimir Suviga??? Rinat Khaibullin?? ?